Have you ever come across a polish that you didn't really like based on swatches and pictures you saw online, but then you LOVED it in person? Every so often, this happens to me. China Glaze Liquid Crystal is one of those polishes!! The China Glaze Prismatic collection was weird for me. When I saw promo pictures, I was all psyched for it. Then I saw swatches and really didn't care. I didn't end up buying any of them. However, the awesome Heather from Peace, Love, & Polish sent me China Glaze Liquid Crystal as a thank you for doing that guest post on her blog! When I put it on this morning, I immediately knew I was wrong about the Prismatic collection. Liquid Crystal is a really pretty blue shimmer base with a slight purple/pink duochrome shift. 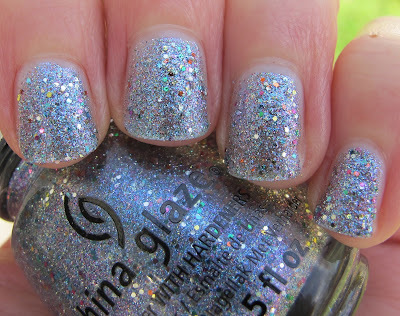 This alone is pretty, but then China Glaze packed in multi-colored glitter!! I see pink, orange, silver, green and gold glitter pieces. Let me clarify: Multi-colored glitter. In a blue/purple/pink duochrome base. WHY did I think I didn't want this???? However, this doesn't look that cool in my pictures!! It's just one of those polishes that looks WAY better in real life. But, it has me wondering, which other Prismatic polishes do I need now? I think maybe Optical Illusion and Raydiant. Do you have any of these? What do you think of them? The China Glaze Prismatic collection is available now at an Ulta near you. Pictures really can't show how pretty these glitters are. I bought three of them, and liquid crystal was one of them. It is just so pretty! Liquid Crystal is pretty crystal :O ! Must be a pain to remove though >_< ! Polished*Genius- I know!! When I first put it on, I was like WAIT, IT'S DUOCHROME TOO?? Which other ones would you get? Beauty and the Polish- which other ones do you have and are they as awesome?! If so, I may need them! AdmiralBiatch- I use Zoya Remove+ for glitter removal and never really have a problem. I just hold the remover soaked cotton pad on my nail for 20 seconds or so, and it works it's magic! Polishloving- I completely agree that this do not look cool at all in swatches. I really thought they were nothing to excited about. But from experience, at least Liquid Crystal is awesome! I think I am going to pick up some others so I'll let you know about those too. Peace, Love and Polish- Optical Illusion is one I think I'm going to get, so that's good to know that it's like this one! Such a surprise! 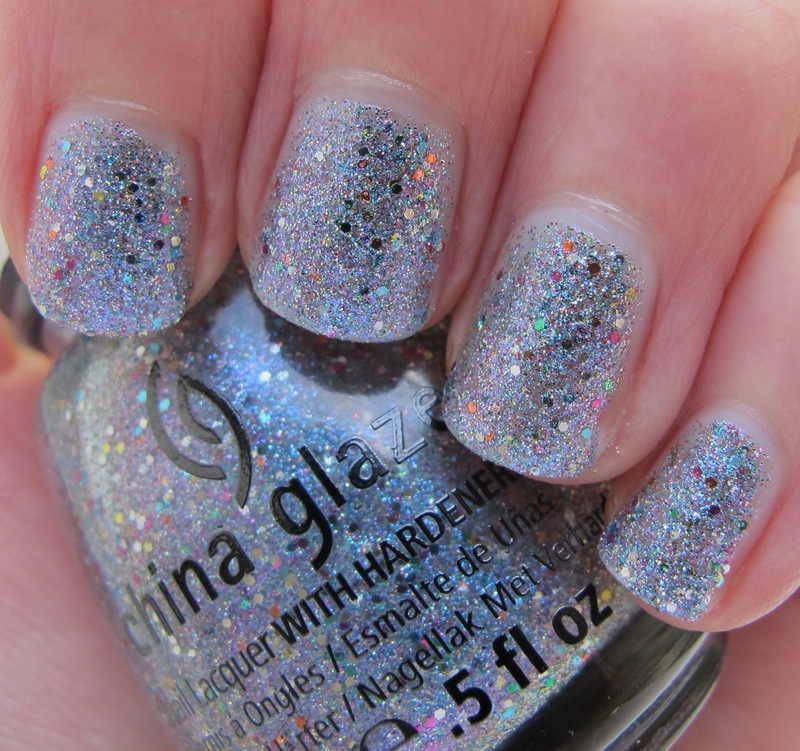 Wow, that China Glaze is really cool! I loved that!